Animal lovers from as far as 50 miles away stepped up to adopt after a police department asked for help when 10 kittens were found abandoned in a cage near a dumpster. The Canal Fulton, Ohio police department made an appeal at Facebook last Wednesday, seeking information on the abandonment and looking for people willing to rehome the kittens. By Thursday, all of the kittens had been adopted or spoken for. Canal Fulton Police (Ohio) posted a photo of the kittens on July 22, writing: “Canal Fulton Police need your help with an animal cruelty case. 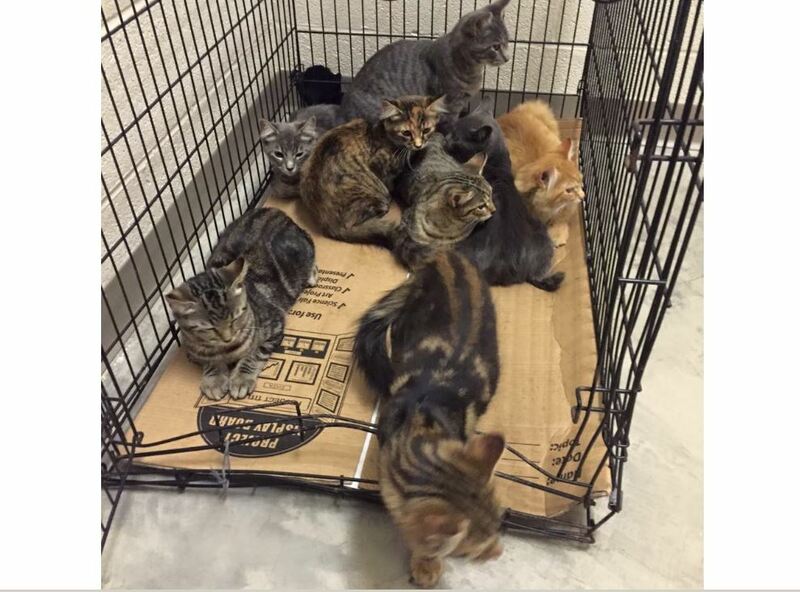 This cage of ten kittens were located next to a dumpster in the parking lot of 142 S. Canal St. If you have any information on who left these kittens without food or water please contact the police department at 330-854-2211. They posted this update on July 23: “All 10 of these abandoned cats have been adopted to their new fur-ever homes! Our phone has been ringing off the hook. Thanks for all of the support! Adopters came from as far as Cleveland, 50 miles away, and nearby Akron to help rehome the kittens. Hope Ann just adopted this kitten, and sent us this picture! Thanks to all of you who are adopting them, and others for spreading the word!